Punch! Hot damn can this movie come out yesterday? I'm even willing to forgive the fact that Russell Crowe is in this film. I'm trying to keep my anticipation at bay somewhat because there's still a nagging voice in the back of my head telling me Zack Snyder might be pulling a fast one. All the trailers have been fabulous, but the movie may not live up to the excitement. Here's to hoping that Snyder is capable of making a universally great film. 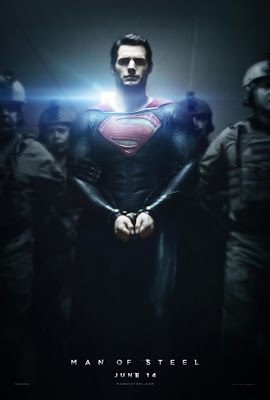 MAN OF STEEL comes out June 14th, 203, is directed by Zack Snyder, and stars Henry Cavill, Amy Adams, Kevin Costner, Russell Crowe, Diane Lane, and Michael Shannon.